$16.88 This item is selling for $16.88 on eBay. 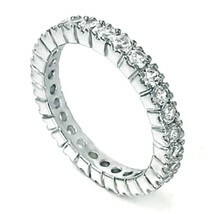 .925 Sterling Silver .10 carat Eternity Ring size 4 Sparkling brilliant cut prong set simulated diamond CZ gemstone eternity band Perfect wedding band or engagement ring, fashion accessory Set into solid silver stamped hallmark filigree 2 mm wide band Stackable eternity ring stones go all the way around the band A great way to show her you will love her always forever and to infinity Band width: 4 mm Stone carat weight: .10 ct. each (approx. 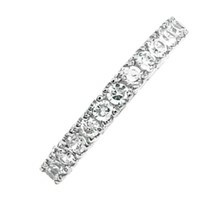 3 mm each stone) Comes in a pretty ring gift box perfect for gift giving or storage Get the look of white gold but at a fraction of the cost! 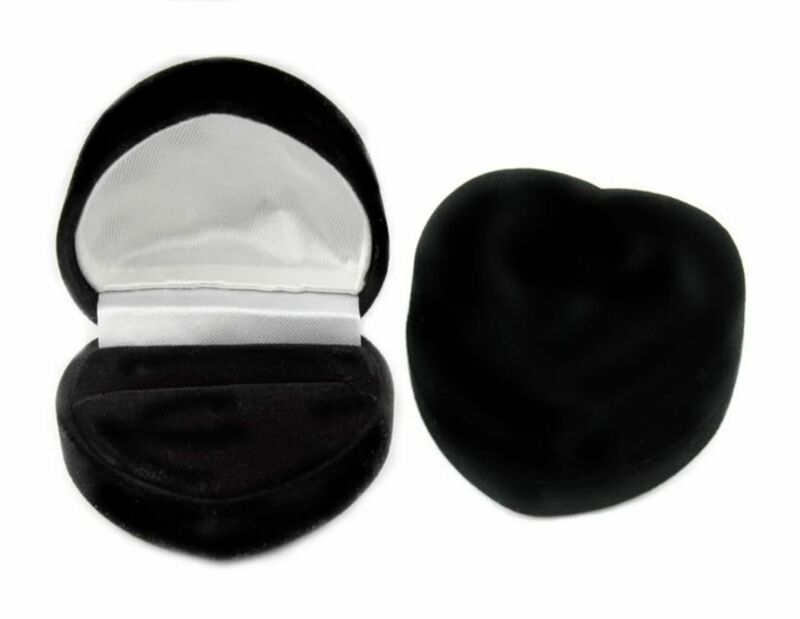 Need size help for childrens, mens, and ladies rings? 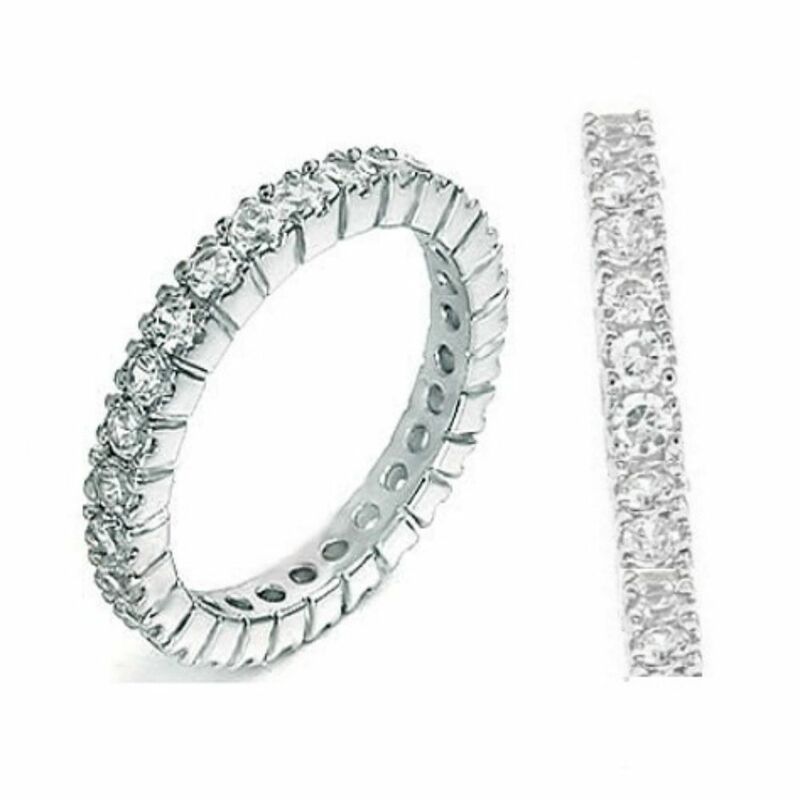 Check our International and Baby Ring Size Guide Shipping daily Monday-Saturday worldwide: USA free shipping, Canada, UK, Australia, all other countries 6.55 (actual postage cost) Only pay shipping for 1 ring no matter how many you buy Need this stackable eternity ring in size 4 5 6 7 8 9 10 ? Click here! Want to see all of our size 4 eternity rings? Click here! 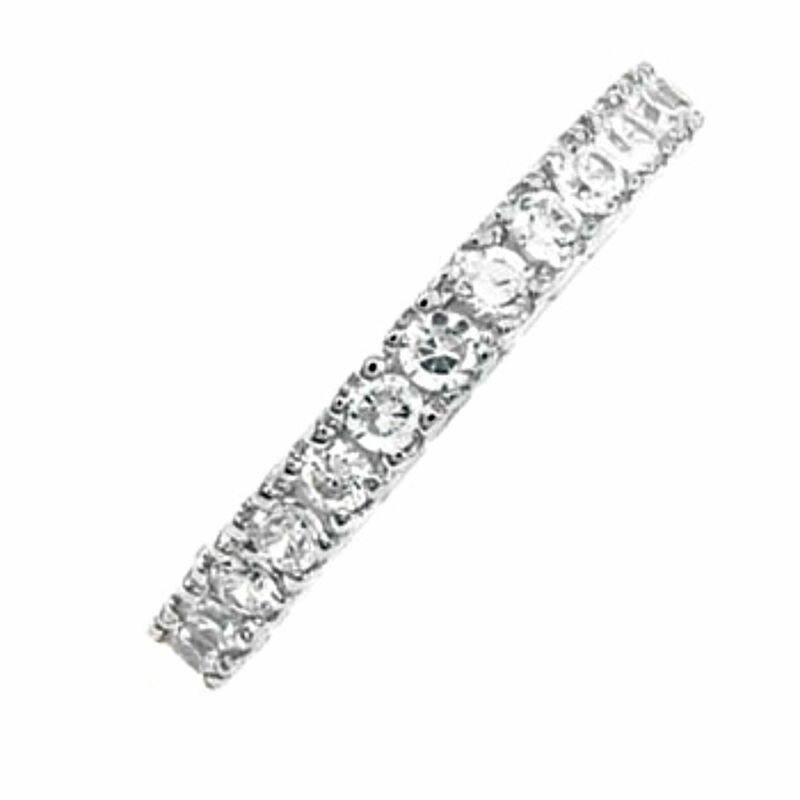 Click here to browse over 1,000 ring and jewelry styles in the Blades Bling store Our silver is genuine, solid .925 stamped hallmark sterling silver.